Are you waiting for summer to get here? Me too! But I’m not waiting till summer to go Bass fishing...Best time for spring Bassin’ is coming along right quick. So let’s get ready to go kick some Bass! Spring Bassin’ for fisherman can vary greatly across the nation due to the wide range of waters where they live, and the fact that they can be found in all the continental states. 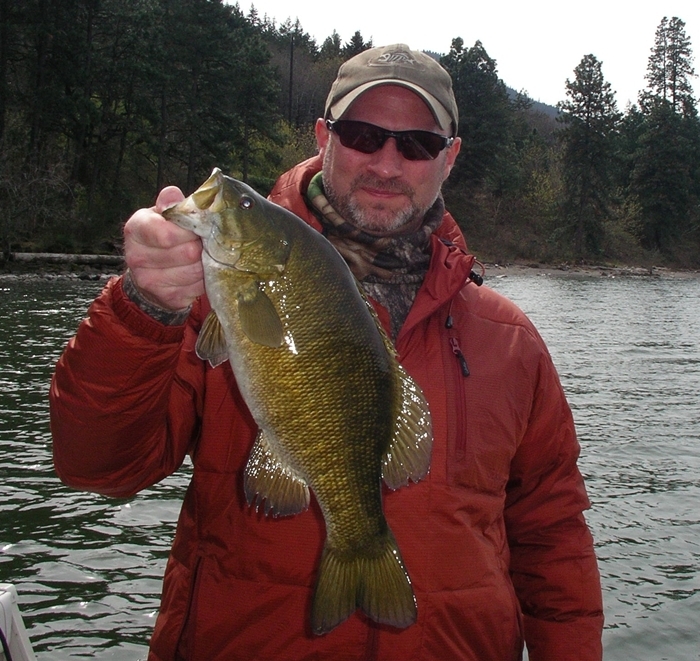 However, for the purpose of this article, I will be referencing the NW waters of the Columbia River where Micropterusdolomieu (The Wiley Smallmouth) has found a home. When do I start fishing for Bass? Is May too early? How about June? Not too many years ago my answer would have been when the water temps reach 50 – 55, and oh how I got funny looks from unbelieving fisherman. What if I told you that you can be catching Bass right now! No Kidding, I have caught many fish right down to the 40 degree water temp mark. Do you believe me? I understand if you don't, because not too many years ago, I wouldn’t have believed me either. Fact is fish need to eat and they will. The trick is to be there when they show up for dinner. So forget about water temp and focus on conditions that will determine how we fish for Bass. First up is water clarity; low and clear or high and stained. Chances are, early in the season, you will find low and clear and as spring progresses, the high and stained will become the norm for some time while snow melts and spring rains cascade from mountain rivers. I like to get started fishing while the water is low and clear. It’s amazing what new structures you’ll spot in these conditions, so take note of every rock, log, drop off and any little subtle difference in the underwater landscape. This will be useful knowledge when the high and stained conditions arrive. Bass are structure oriented fish. They like to be near something and be able to retreat to deeper water if needed. In low clear water stealth must be your game. 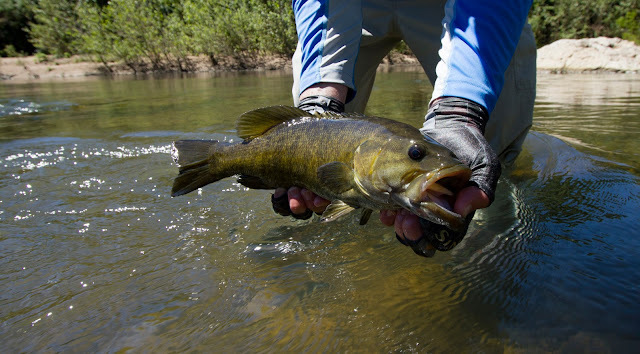 Smallmouth Bass are alert creatures so shadows and noises can turn them off or drive them away easily. Clear water calls for long casts and quiet approaches. Patience is required for this early spring fishing. Normally I would tell you to fish with some pretty heavy flies on bottom for these big river Smallies, but not for low and clear conditions. I look to the suspending or slow sinking bait fish patterns. Flies like Zonkers, Sea Habits, light Clousers and a couple of no name patterns I like to tie. Bass can see quite well in clear water and you need to give them some time to come look at what you're offering. If the bass come looking for dinner in clear shallow water then they will most likely be feeding up....it’s really easy to fish underneath them in the early spring. Cast long and allow your fly to simmer in its landing location. Keep your line tight without moving your fly and be very observant to any motion in your line. Proceed with a strip, strip and pause retrieve.....Strip...Strip....Paaaaaause....Vary your pauses and watch your line for any movement. Now listen carefully to what I’m about to tell you: If you witness any twitch...even the slightest twitch, do not hesitate...set the hook and set it hard. Big Bass don’t nibble and they also don’t peck at food. A twitch in your line means he just inhaled the fly and the next twitch you see will be him spitting it out. I have witnessed angler after angler make this fatal mistake and they all say these words, “I was waiting for him to really hit it”. Sure there are days they’ll yank the rod out of your hands but more often than not the strike is very subtle especially in the early season. This might be my favorite technique but it demands calm clear water and bit of afternoon sun can go a long ways. And it will and we will curse it over and over again, but I have learned to embrace the wind to some extent and realize that, while it has its challenges, it also has some benefits. If it has been windy for some time this will stir the water and start to add color, and with spring winds, usually comes the rain. Combine wind and spring runoff and now you have high and stained or even muddy water at times. I know many anglers that will refuse to fish muddy water. I’m going to let you in on a little secret, high and muddy water makes bass location predictable. So, awhile back I said to pay attention to every rock, log, drop off and any little difference in the landscape when the water is low and clear. Hopefully you remembered some of those locations. High muddy water will move bass in shallow and put them right on those structures and with some wind chop and stained or muddy water, we can move in close to these locations without fear of spooking fish away. Now you want to fish a fly with some weight to it. Exposed lead eyes or bead head flies work great here. Cast your fly right into those structure locations and make contact with something solid...a stump, log or even just a rocky bottom. Bass are classified as site feeders but their other senses are not to be underestimated. I am quite certain that bass will move in on sounds that may resemble a crayfish working in the rocky bottom or an injured baitfish. Sounds of a fly banging against rocks can draw fish to your fly, and when he gets close enough, his vision will spot the meal. Warning...If you want to catch fish you're going to have to cast flies into places where they may not return from. Don’t spend an hour tying the best-ever bass fly because you're going to get pretty frustrated after losing a couple. In muddy/stained water a bead head black wooly bugger can be quite effective and a little chartreuse in the mix can go a long way to getting that strike. So plan on losing some flies but in time you’ll learn to dance them over the laydowns and bounce them though the rocks. May 17th... 1 out of about 15 this day. My client cancelled his trip with me on this day because he said the water was too high and muddy to catch fish... He missed out! Sage Bass Series Smallmouth Bass Rod – This is my “go to” gun for those heavy bottom flies…It has power to spare plus the backbone needed to pull though the nastiest of snags. Rio Outbound Short - Full Intermediate – Shoots great…I use an Airflo sinking polyleader to reach the final depth I wish to achieve. Nautilus FWX 7/8 Fly Reel - Handles both the line and fish. G.Loomis NRX 9’ 7wt Rod – Distance with ease for the large, light-suspending flies. S/A Textured Titan Taper Fly Line – Carries these large flies and the high flotation of the line makes for easy pickup. The orange color also makes it easy to see. Lamson Speedster Fly Reels - Balances this rod so perfectly that I can cast all day with total comfort. Flies – Use your imagination when it comes to flies. 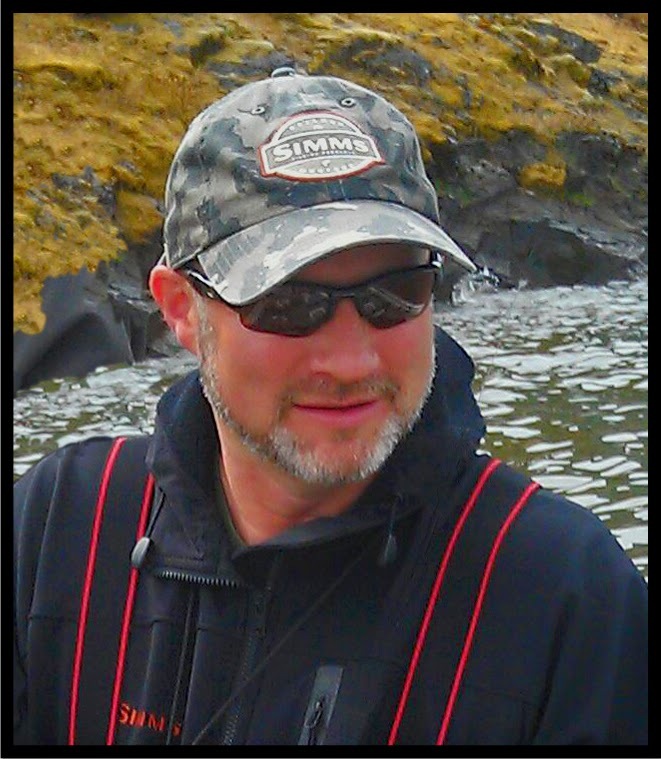 You can see I use an assortment of Bass, Saltwater and Steelhead flies.